Wagamama launches a VEGAN full English breakfast complete with beetroot sausages and ‘bacon’ made from gluten – but would it replace YOUR fry up? 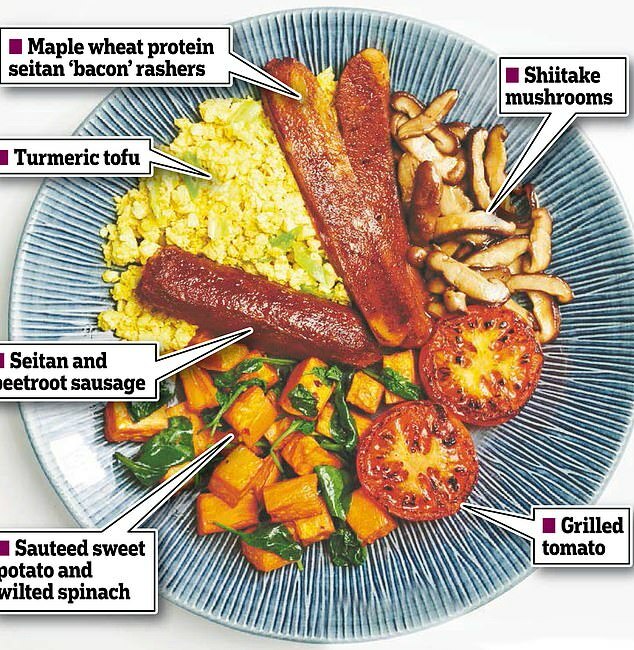 Wagamama is best known for noodles and katsu curry, but now the chain is launching its first ever vegan full English breakfast to meet growing consumer demand. The full vegan includes two pieces of maple ‘bacon’ made with seitan, a meat substitute made from gluten, and beetroot and seitan sausages replacing pork. Eggs are replaced by scrambled turmeric tofu, and it also comes with grilled tomato, wilted spinach, sautéed sweet potato and shiitake mushrooms. 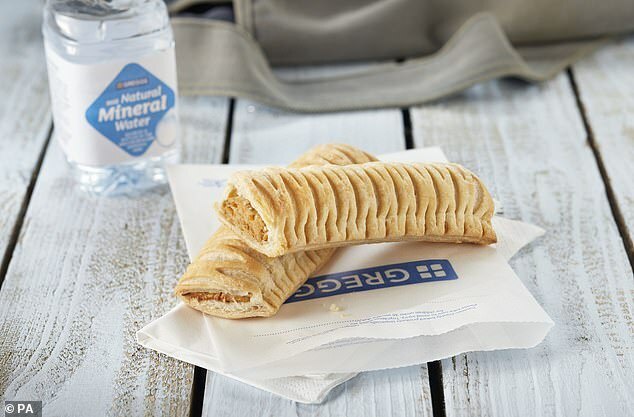 Wagamama’s decision to introduce the new vegan dish echoes the move made by Greggs, who launched its controversial meat-free sausage roll just in time for Veganuary. While it sparked a war of words on social media at the time, that didn’t stop the pastry-snack flying off shelves, with several branches selling out just a day after it was unveiled. The ever-growing demand for vegan dishes comes as no surprise considering the UK has over half a million vegans who have opted for a healthier lifestyle – accounting for more than one per cent of the population. Meanwhile, customers on plant-based diets also flocked to McDonald’s in Scandinavia last year. The fast food giant’s long-awaited McVegan burger made from soya protein arrived into branches in Finland and Sweden for the first time. It sent fans wild online, with customers praising the taste of the burger, which also has a gluten-free bun and a vegan mayonnaise. And with veganism on the rise, the burger could soon be launched in the UK, US and Australia too. ‘When we create vegan dishes we primarily want them to taste amazing so anyone can enjoy them, not just vegans. 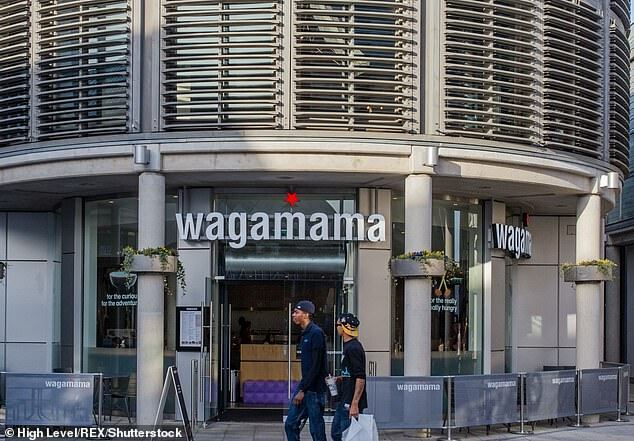 The breakfast will be launched at Wagamama restaurants at Gatwick and Heathrow airport on February 6.